Deliver a strong message. When you have a charity benefit, volunteer event or day of action on the horizon, it's important to keep your attendees informed. 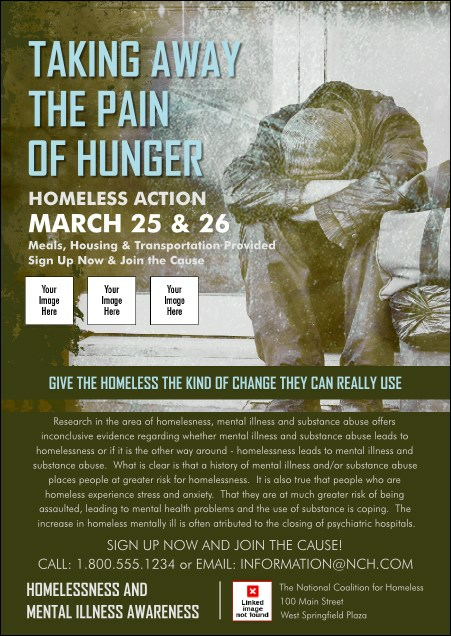 The Homeless & Hungry Postcard sends a powerful message. Feature your information prominently against a serious background. Share four custom images. Stay visible with custom collateral from Canada Ticket Printing.